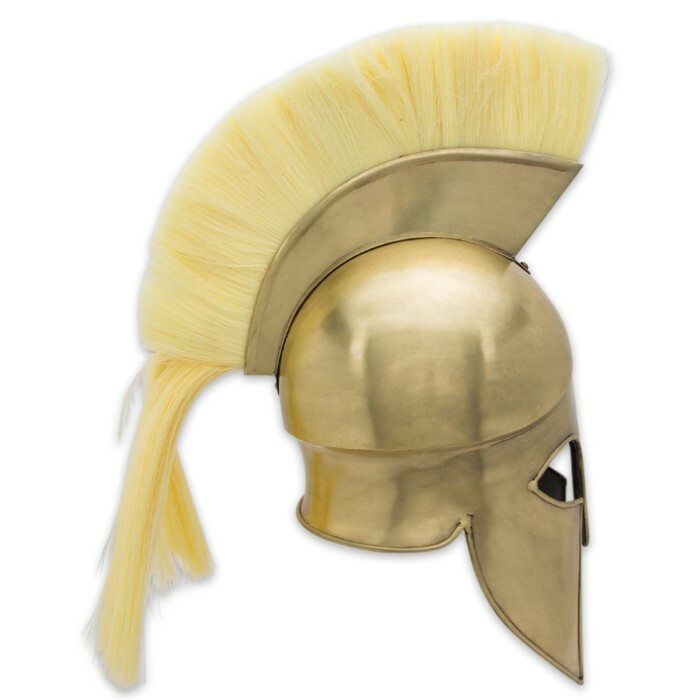 Spartan Grecian Helmet With Plume - Brass Color | BUDK.com - Knives & Swords At The Lowest Prices! 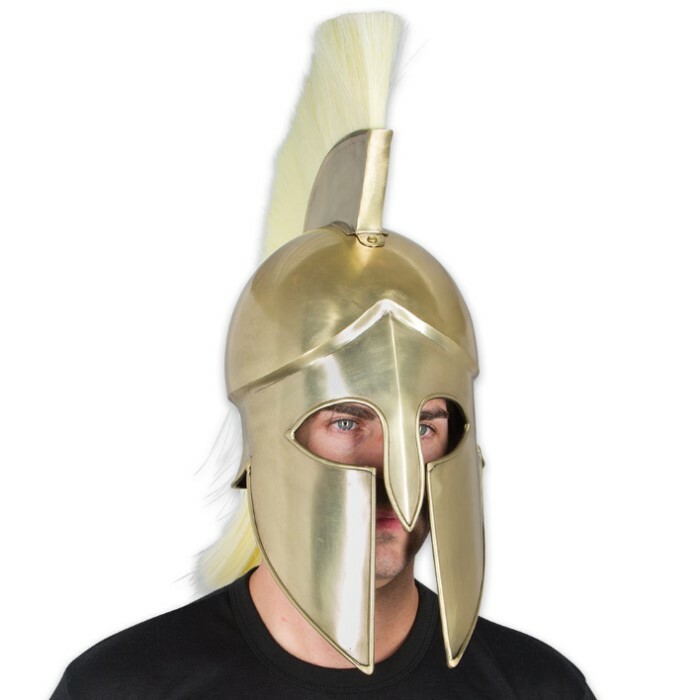 A ferocious nation of warriors, the Spartans fought in gleaming bronze armor, including elegant plumed helmets and face guards - not unlike our stately Spartan Grecian Helmet with Plume. Its materials and construction are top notch - made to last a lifetime and beyond. The one-piece helmet and facemask is forged from thick 20 gauge steel, and the gracefully flowing, removable yellow parade plume is tough synthetic horsehair, carefully bound in a genuine leather spine. With its historically faithful design and authentic, wearable size, the helmet is perfect for historical dramas, reenactments, cosplay, Greco-Roman conventions, Halloween and countless other costume applications. Its grand, eye-catching bearing makes it ideal for display, as well - in an ancient Greece or military history collection, or as a piece of distinctive, exotic home or office decor. It's big enough to get noticed and fits most adults.